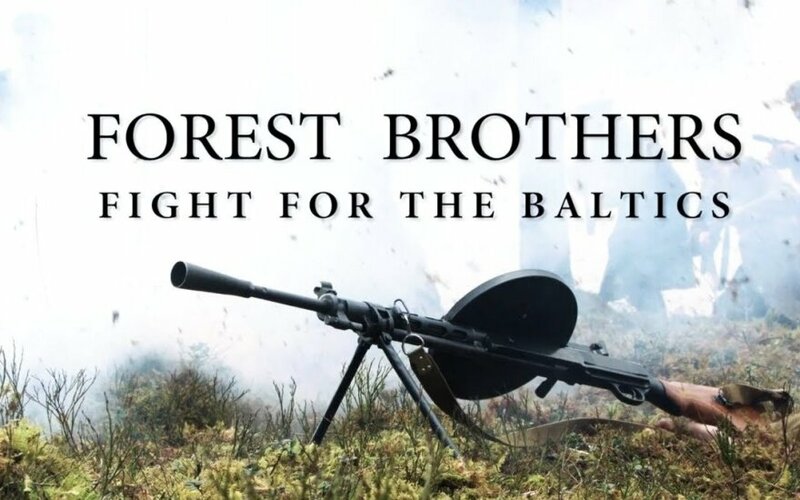 After NATO showed a short film over social media about the "Forest Brothers" – the partisans in Lithuania, Latvia and Estonia who resisted the Soviet occupation of Baltic States – Moscow reacted in official capacity. Commenting on the film, Russian Ministry of Foreign Affairs representative Maria Zacharova lost her temper and became abusive at the memory of the freedom fighters. "We were just a few facing around 200 Russian soldiers. What were we supposed to do? Run away? They would have hunted us down and shot us and so we fought until the end" said Mr. Bluzmanis. The film makes a point of saying that around 50 thousand freedom fighters resisted the Soviet occupation of the Baltic States. Estonian Ilme Uril who was 13 years-old in 1944 explained that she used to help the Estonian partisans – she'd prepare food for them and give them warm clothing. "People wanted to help them which is why they survived for so long" she says. The film also highlights that the best organised anti-Soviet resistance was in Lithuania where the partisans had their own organisation and wore uniforms and that to this day in Lithuania and the other Baltic where there are special forces that continue the partisan tradition. "Our history originates from the "Forest Brothers". Their tactic was to split up into small groups in the forest and come together before a battle with a much bigger enemy and that's what we prepare for each day" a Lithuanian special operations soldier wearing a stripe saying "žaliukas" told the NATO channel. "Žaliukas" – that means forest brother. When you're fighting in the forest, you carry whatever you need with you. You live like a forest brother, nobody gives you ammunition, water or food. You have to find everything in the forest." the Lithuanian soldier said. This film naturally maddened Russia whose Ministry of Foreign Affairs representative Maria Zacharova it would seem said whatever came into her head about the film and the partisans of the Baltic States. "This organisation, which is was founded by aspiring fascists (namely those who were on the side of the Nazi occupation administration – policemen, administrative officials, soldiers and officers of SS formations), organised more than 3 thousand diversions, the victims of which were thousands of civilians" said Ms. Zacharova about the Latvian forest brothers. In her opinion, "Special Services of the West" were supporting the "Forest Brothers" in the 1950s, a fact attested to by plenty of documents, amongst which there are declassified CIA data. Ms. Zacharov's comment on © YouTube derides the "Latvian patriots". In deriding the "Latvian patriots" who fought against the "alleged Soviets", Maria Zacharova reminded "those who don't know history and the victims of Western propaganda"that the "Soviets" were civilians, including Latvians. Ms. Zacharova, at that time a rising star of Russian diplomacy and perhaps herself even the future Minister of Foreign Affairs, referenced the military history community, anti-fascist organisations, historians, social workers, political specialists, journalists and researchers. "Don't be indifferent to this distortion of history that NATO is willfully spreading, mentioning the outcomes of the Nurnberg Trials" urged Ms. Zacharova even though in the Nurnberg Trials absolutely no mention was made of the partisans in the Baltic States being Nazi collaborators. "This must be stopped! If today Bandera is a hero and the "Forest Brothers" are partisans who saved the Baltics then what's there going to be tomorrow?" She also reminded us that the partisans took part in the Holocaust. Deputy Prime Minister of Russia Dmitry Rogozin, traditionally hostile to the Baltic States, also tweeted about the film. "This NATO film about the"forest brothers" who killed our soldiers confirms that in NATO we have wannabe Hitlers" he remarked sharply. Although the mass media in Russia frequently broadcast remarks made by historians, political specialists, analysts and singular politicians that lead one to understand that the resistance movements in the Baltic States were "fascists fighting against the legitimate Soviet government", this is the first time that the Kremlin has officially and quite openly denigrated the memory of the partisans. Lithuanian diplomats responded to the representative of the Russian Ministry of Foreign Affairs. The Ministry of Foreign Affairs tweeted a reply to the Kremlin noting that that the Kremlin's interpretation of the partisans of the Baltic States as fighting on the side of the Nazis is false. "The Nazis were defeated in 1945 and resistance ended in 1953" stressed the Lithuanian diplomats. Moreover, the communication further stung Russia itself with the reminder that it was the Soviet Union who fought on the side of the Nazis when it invaded Poland in 1939. DELFI would also like to note that Russia's ambassador to Lithuania, Aleksandr Udaltsov this year in May laid a wreath at a monument in Vilnius' Antakalnis Cemetery. The monument created by sculptor Kazys Venclovas which was unveiled in 2015 is dedicated the memory of all of Lithuania's soldiers who perished during the years of the partisan war, in the deportations and prisons, and to whose place of final rest is unknown. The inscription on the memorial reads: "To those who perished for the Fatherland. Their graves are known to God". In other words, Mr. Udaltsov didn't only lay a wreath, he made an honourable bow before the monument which is first and foremost dedicated to the partisans who fought against the Soviet Union. 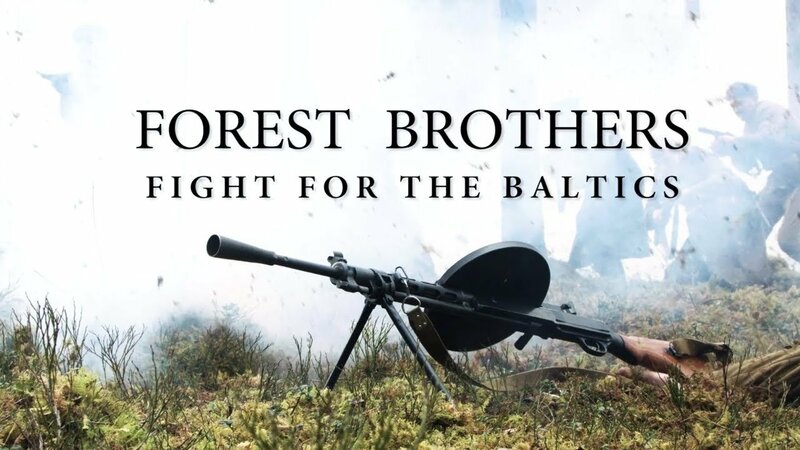 Why did the NATO film on the “forest brothers” frighten the Kremlin more than tanks?